Easy to start, quiet and with no fuel mixing required, the 4-stroke Classic Tiller weighs just 24 lbs / 11 kg. Featuring a premium 4-cycle engine powered by Honda®, this lightweight powerhouse is tough enough to till through sod and compacted soil, and is also easy to carry, and easy to use. Perfect for gardens of all sizes! #1 Selling mini tiller ever. Over 2 million sold! The Mantis Classic tiller is lightweight, but powerful enough to till through sod and compacted soil. Its unique, serpentine tines turn soil into a fine texture, ready for planting, and are guaranteed for life against breakage! 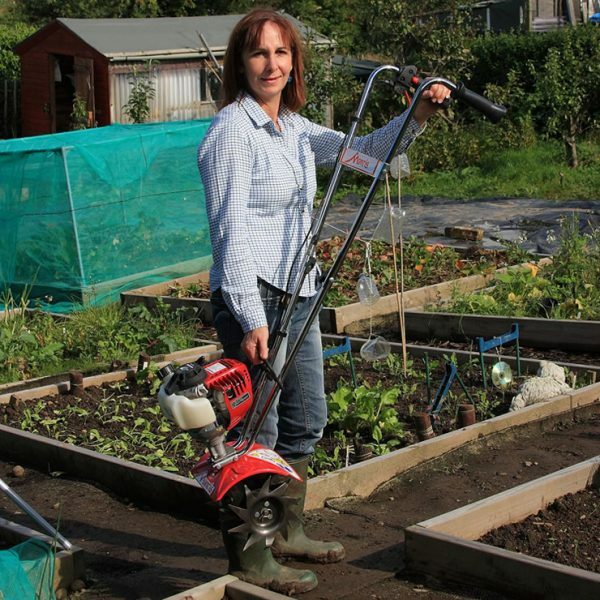 At 24 pounds (11kg) the Mantis Classic Tiller is easy to carry to your allotment, to the shed, the car, or to your neighbour who can’t wait to try it! 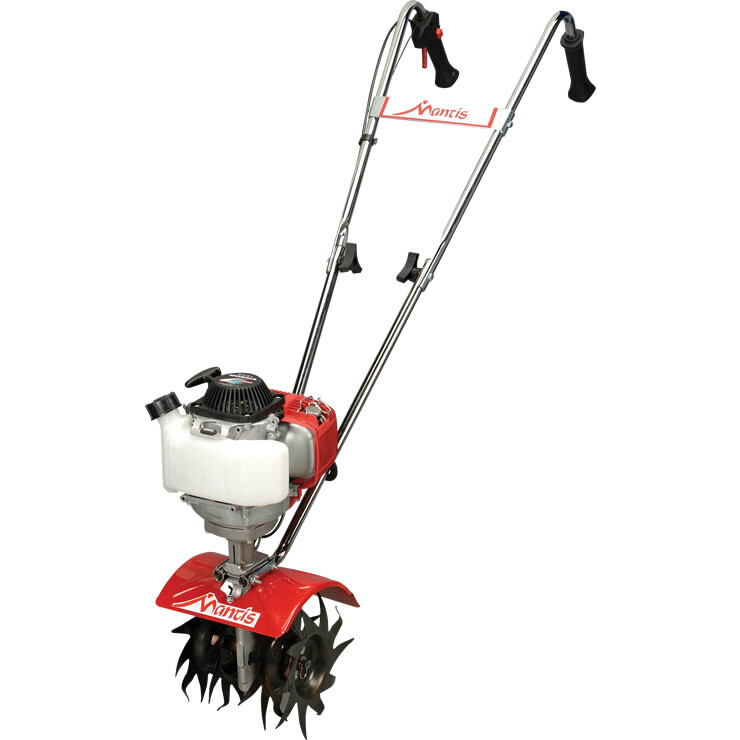 The Mantis Classic Tiller is great for gardeners of all ages and abilities. 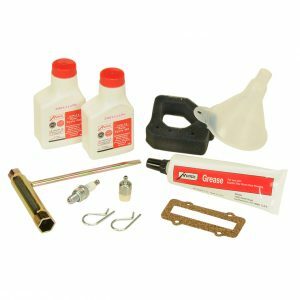 The easy starting Honda 4-stroke engine require no mixing of petrol and oil (Separate oil sump). Maintaining your garden has never been easier! The Mantis Classic 4-stroke tiller will make gardening easier for you as the Mantis Classic tiller makes digging and weeding more enjoyable. This great gardening tool will help you saving time while preserving your back. It only weighs 11 kg. 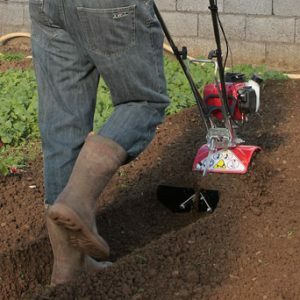 Its compact format enables a very efficient and precise work of the soil even between the flowerbeds while preserving your efforts and your back. The 4-stroke 25cc Honda engine makes the tines turn twice faster than any other tillers.The speed is changeable to adapt to your soil’s conditions. The Exclusive and patented design of the serpentine tines can penetrate even the hardest soils – even clay – and reduce efficiently clumps of earth. Moreover, the tines are reversible for light weeding. The speed controller and the quick stop switch are situated on the handle of the tiller, for an intuitive and perfectly handled control of the machine. The Mantis tiller has a carrying handle and its handles are foldable which makes it easy to carry and transport. A one-unit gearbox, a steel mudgard and serpentine tines with a lifetime warranty against breakage: the Mantis tillers make gardening easier for a long time. 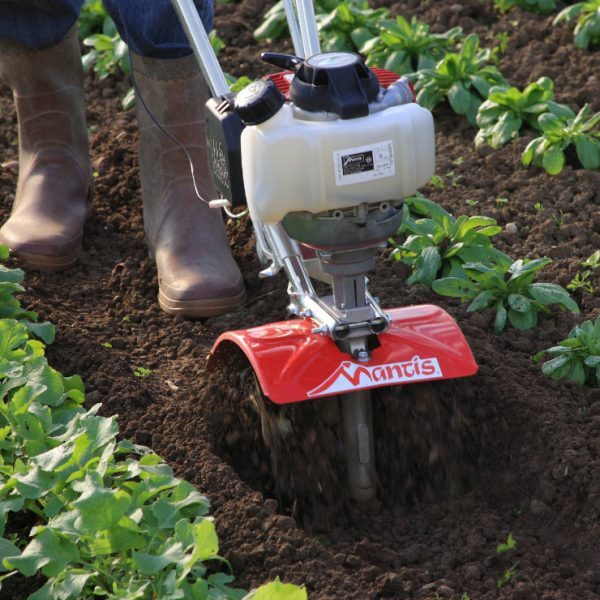 The Mantis tiller is more than a tiller thanks to its optional attachments available. Dethatch, aerate the lawn, furrow, design borders. 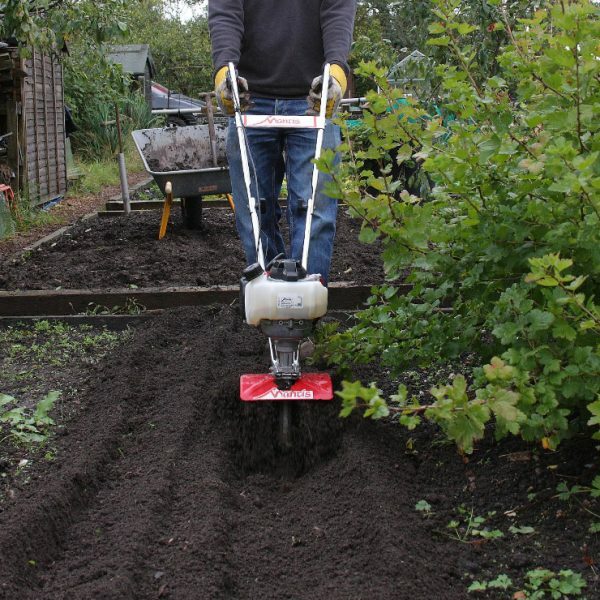 With its attachments, the Mantis tiller is the best ally to do everything in the garden. A reliable kickstand practical when you want to take a break and for secure and easy storage of your tiller. All Mantis tillers come with a 5-year parts and labor warranty from the date of purchase. In the event of a defective part due to a defect in material or workmanship, we will replace or repair it free of charge. Mantis Tiller tines are unique and guaranteed for life against breakage. If a Tine should break, you can return it to us and we will exchange it immediately free of charge.